Maggie is only 15 months old and has already passed the Bronze Award in the Kennel Club Good Citizen Dog Scheme. She knows all her basic commands and is keen to learn more, she is very food orientated so training with treats is something she loves! She is wonderful with other dogs, people and older children, she walks well on the lead (but doesn't like loud large vehicles passing, we're working on that! ), her recall also needs some improvement before she can be exercised off lead but this should improve with training. Maggie would be a fantastic addition to a family where there is someone around for most of the time, and could happily be homed with another, preferably calm, dog. 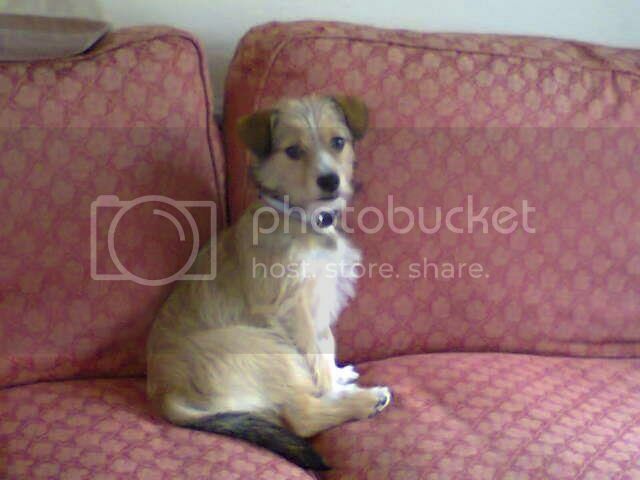 Being a terrier she is rather keen on cats, birds and small furries so a home without these pets would be required. Maggie is spayed, microchipped, worm & flea treated and fully vaccinated.